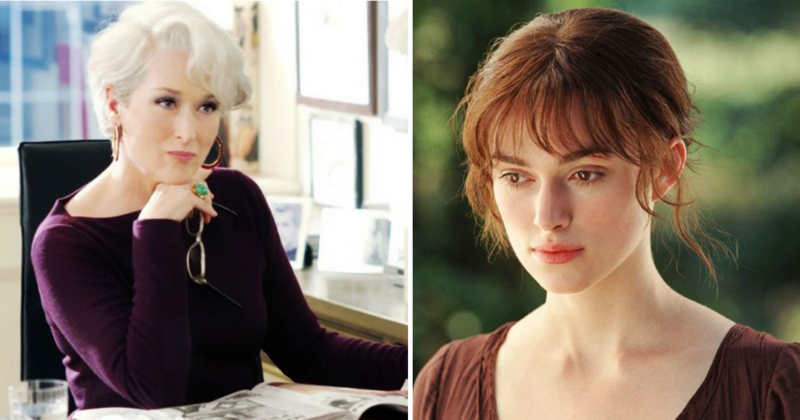 Memory tends to fade with age which is why old people are often teased about “senior moments” when they forget little things that lead to some embarrassing instances. But for one pensioner in Hong Kong, his senior moment almost cost him dearly. 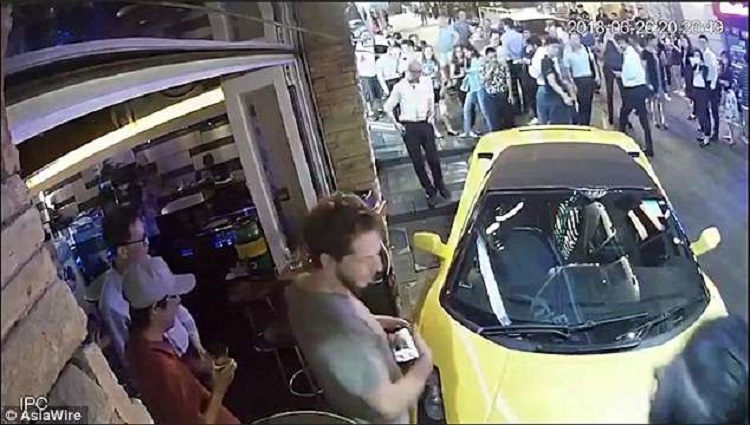 A CCTV camera on a bar was in the perfect position to capture the moment a £150,000 Lamborghini Gallardo was seen rolling down busy D’Aguilar Street towards a patron inside the establishment. 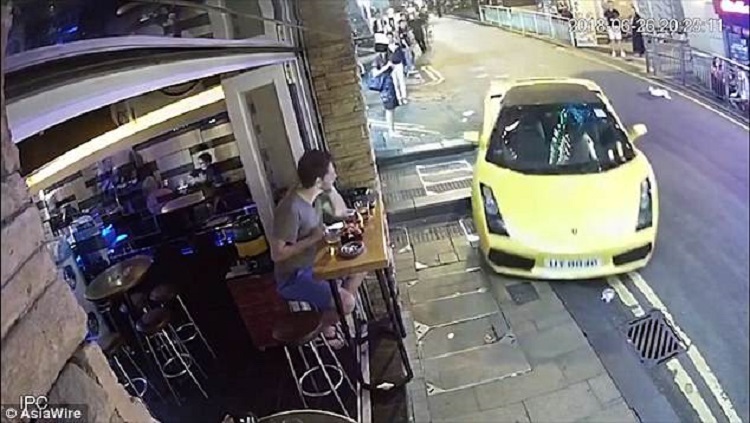 Some pedestrians can be seen about to cross the road but stop when they see the striking yellow sports car. But when they see that no one was behind the steering wheel, they quickly step back. 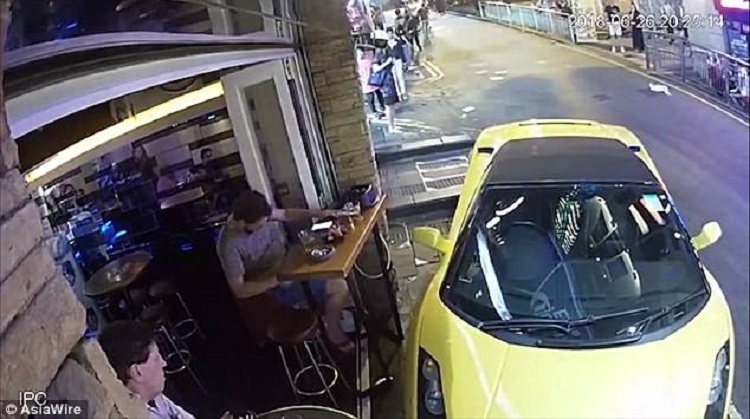 Meanwhile, a customer of the D26 bar is still oblivious to the approaching car. But when the sports car is only a few feet away, he glances up and peeks around the pillar. Shocked at what he sees coming toward him, the patron desperately tries to scoot backward. He makes a last bid attempt to use the table as a shield as the car is already almost upon him. Luckily, as the car climbs the curb, it’s enough to bleed its slow momentum until it comes to a stop just before it hits anything. People start to pour out of the surrounding establishments, including the customer who thought he was going to get hit. 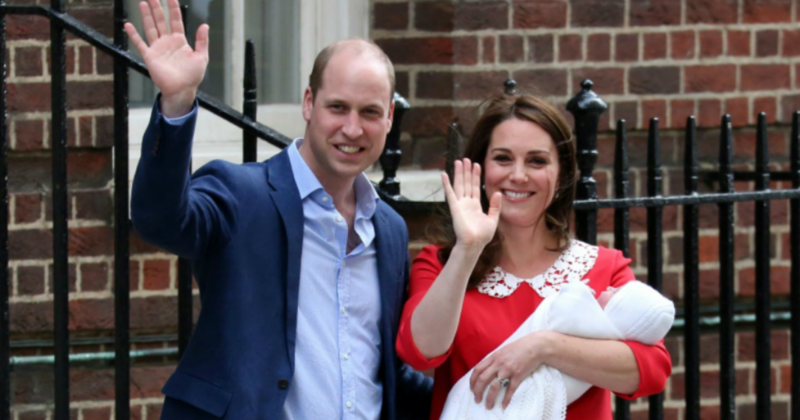 They start taking pictures and video and several seconds later, a sheepish senior citizen can be seen hurriedly walking towards his car. It turns out the driver had forgotten to engage the handbrake before exiting the vehicle which resulted in it rolling away. 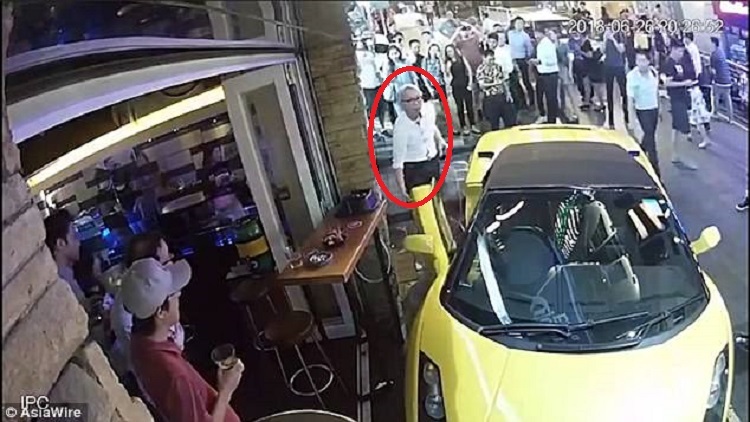 The flustered old man can be seen trying to back his car away and a few onlookers can be seen guiding him on where he should turn the steering wheel. When he finally gets out on the road the crowd can be heard cheering for him. The old man was really lucky that no one was hurt in the incident and his car seems to have come out of it without a scratch. It was very nearly a costly mistake (literally) on his part. The video has since generated thousands of views and comments with one person even saying, “If you can’t drive, then don’t buy a nice car. Money can buy you a nice car but not a brain.” It sounds a bit harsh, especially considering that old people are known to be forgetful. But it also makes one wonder if senior citizens should be allowed to drive a beast of a car like that.